My daughter just recently started enjoying the I spy books. 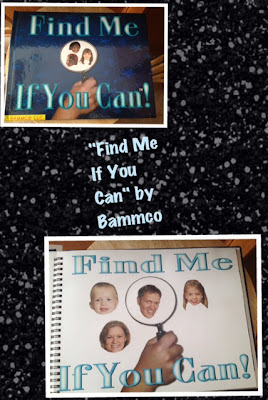 Take the same principle of those books but personalize them with your family photos and you have the "Find Me If You Can" a book by Bammco. 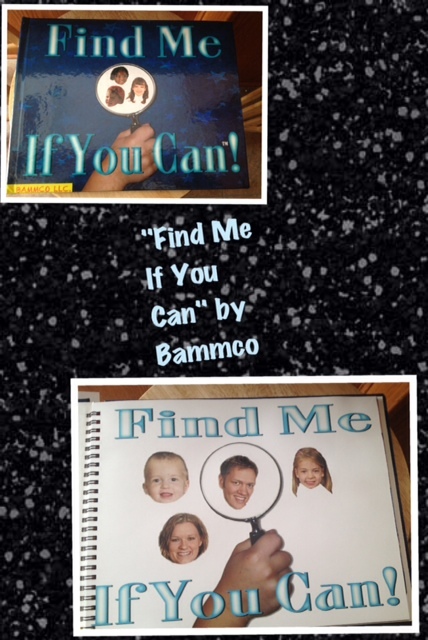 Thank-you Bammco for personalizing a book for me to conduct this review. I was not paid for this review and all opinions are 100% mine. I was very pleased with the customer service and the ease of ordering my book. I only needed to send the pictures to them and I got my book quickly. 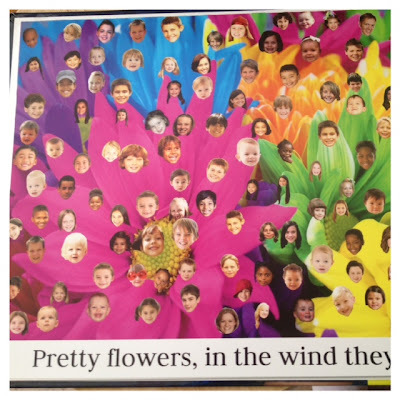 - Tom and Sue created this book which took 3 years and 18 months to develop the software to generate the book. -The book costs $29.99 plus $4.95 shipping and it takes about a week to develop, print, bind, and ship the book. - No worries they will never use your family photos for anyone else unless you give them permission. - They have fundraiser opportunities. Who wants to win one personalized book? Enter the giveaway through the rafflecopter form below. We are reading "I want to be a Soldier". Rainforest Animals was the last book I read to my kids.